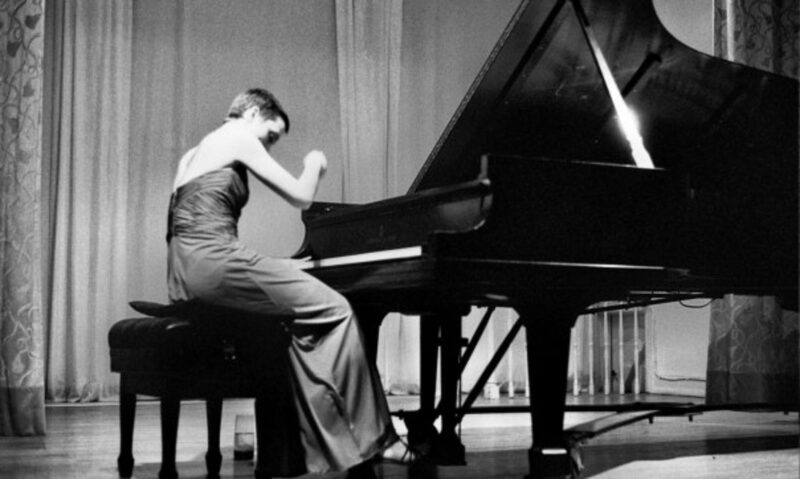 Brenna Berman began her piano studies at the age of five. An avid performer since the age of seven and competitor since the age of eight, Ms. Berman has now performed in Italy and in more than a dozen states, including multiple solo concerts in major cities such as New York, Philadelphia, Berkeley, Portland, Boston, Coeur d’Alene, Boulder, Albuquerque, and on live radio broadcasts in Philadelphia and Spokane. As an Artists International New York Debut Award winner, she gave her debut at Carnegie Hall’s Weill Recital Hall in March, 2008. Other recent recitals have taken place at such venues as The Berkeley Piano Club in Berkeley, The Nicholas Roerich Museum in New York, The Philadelphia Art Alliance, The Ethical Society Building of Philadelphia, The Mandell Theater of Philadelphia, the Slought Foundation in Philadelphia, Gonzaga University in Spokane, and Warner Concert Hall in Oberlin. Ms. Berman’s playing has been described as “visceral,” “dynamic and expressive,” “sparkling,” and “on fire.” Her programs exhibit a wide variety of styles from Baroque to Contemporary, with a special emphasis on New Music. In 2009, Ms. Berman collaborated with modern composer, Neil Rolnick (neilrolnick.com) in several East Coast concerts, performing his work “Digits” (2005) for piano and computer. She was also recently featured in two articles on Boesendorfer.com: A Wonderful Piano Evening and An Aston Martin Roar. Ms. Berman earned her Bachelor of Music in Piano Performance from Oberlin Conservatory of Music and Master of Arts in Piano Performance from Hunter College. Since 2001, she has been studeying wti Robert Durso, Senior Director of the Golandsky Institute. She has also studied with other renowned and expert pianists and teachers including Robert Shannon, Edna Golandsky, Ilya Itin, Judit Jaimes, Dorothy Taubman, and Nancy Weems. She has also participated in Master Classes with artists such as Christopher Taylor, Paul Robers, Edna Golandsky, Stephen Drury, Sergei Babayan, and Jerome Rose. Ms. Berman also collaborates with pianist Jonathan Fisher in BIDECA, their piano duo. BIDECA seeks to challenge conventional ideas in contemporary music. The duo gives concerts regularly in Philadelphia and New York. BIDECA‘s first large-scale musical even, Unplayable Music: Conlon Nancarrow for 4 Hands, took place in June 2004 at the Slought Foundation in Philadelphia. In April 2005, BIDECA performed as part of the 2005 Bach Festival of Philadelphia, presenting its original work, Urban Suite. BIDECA‘s Philadelphia Suite concert took place on September 17, 2005, as part of the Philadelphia Fringe Festival. BIDECA has produced two live recordings for sale to the public. Ms. Berman has won many international, national, and state-wide awards including the Special Presentation Award from Artists International giving her a New York Debut Recital at Carnegie Hall’s Weill Recital Hall, Second Prize in the 2007 Guiseppe Terracciano International Piano Competition in Italy, First Place in the MTNA Baldwin Competition, First Place Alternate in the Regional Division of the MTNA Baldwin Competition, First Place twice in the Colorado State Music Teachers Association State Competition, Second Place in the Fort Collins Symphony Orchestra Young Artist Competition, Second Place in the Boulder Youth Symphony Concerto Competition, Honorable Mention in the Pennsylvania Music Teachers Association Keystone Competition Collegiate Division, and multiple gold and silver medals in the Greater Spokane Music and Allied Arts Festival. 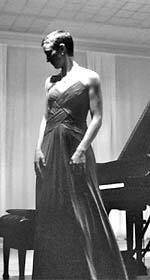 She received performance scholarships from Oberlin Conservatory every year of her attendance, from the University of Houston Moores School of Music, and from the Boulder Area Music Teachers Association.